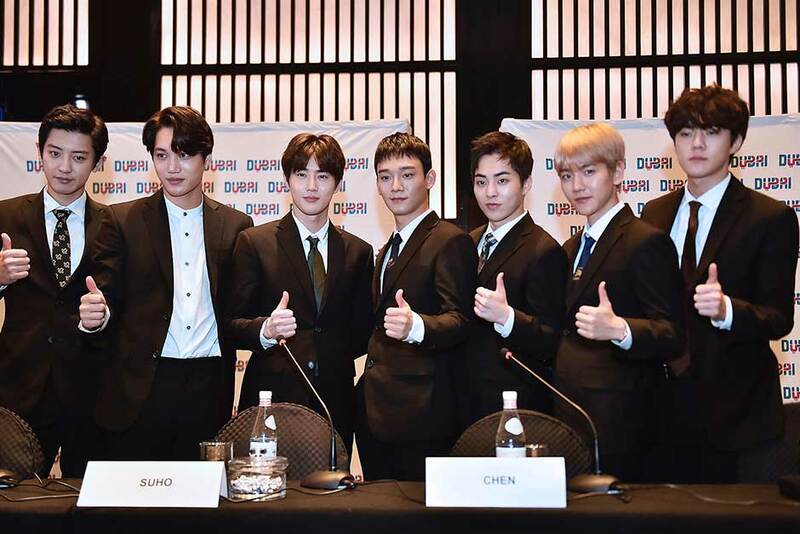 The members of record-making K-pop band Exo have landed in Dubai to launch their song Power at the Dubai Fountain. The launch marks the first time a Korean song has been added to the tourist attraction’s playlist. Outside South Korea, the band is also wildly popular in China and North America. In February 2016, Exo held the North American leg of the Exo'luxion tour in Dallas, Vancouver, Los Angeles, Chicago, and New Jersey, playing to over 41,000 people. 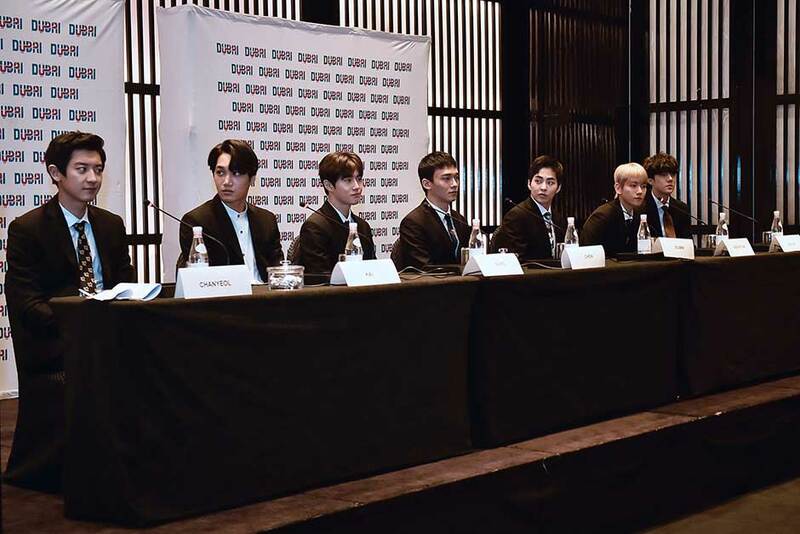 The same month, Exo were again ranked as the most powerful celebrity by Forbes Korea Power Celebrity for the year 2015. In March 2016, they completed the Exo'luxion tour with 3 performances in Seoul to over 42,000 people. With a total of over 740,000 tickets sold across 44 concerts in 12 countries, it was their largest tour to date. As of November 30, 2017, Korean sales of Exo's fourth studio album The War reached 1,592,792, making it Exo's best selling album to date and earning them the title of "quadruple million seller". On December 5, Twitter released information on the most popular tweets, trends, artists, songs and more in 2017 worldwide on Twitter. 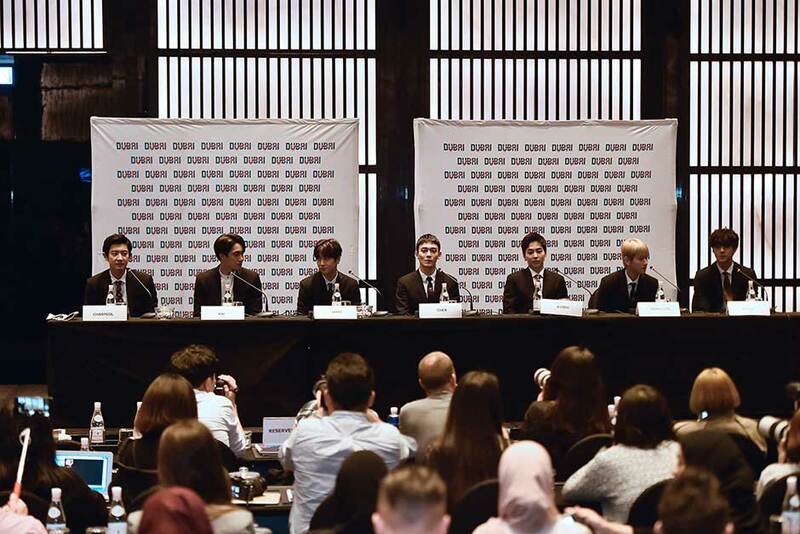 It was revealed that Exo were "the most popular celebrities who joined Twitter in 2017". This followed their entry onto the platform in July shortly before releasing The War, which reportedly generated 11 million tweets within a day. In addition, their lead single "Ko Ko Bop" from The War was the most mentioned song of the year worldwide using the hashtag "#kokobop". On December 12, Exo's "Ko Ko Bop" music video (Korean version) surpassed 100 million views, which was Exo's sixth music video with over 100 million views.